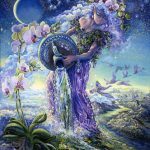 Vagueness, dissolution, slippery slopes, cover-ups, and “accidentally on purpose” strategies continue to dominate the cosmic scene this week. 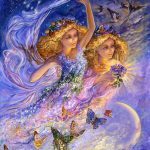 Seven placements in Pisces and the recent Pisces eclipse keep things from materializing into anything clearly definable. Certainty is elusive. Operating in the dark with “missing pieces of information” may be something we’re adapting to. But something deep within has shifted. One door has closed and another opened. New options may now be considered. The North and South Node in Virgo and Pisces respectively have entered “the home stretch phase.” Since November of 2015 releasing whatever keeps you powerless has been an over-arching theme. You may feel a sense of urgency to streamline or purify your life, narrow your focus, further advance your communication skills, and/or resolve health issues. The official end of this critical self-improvement/”empowerment through release” phase occurs on May 10th. Then we’ll be entering into something that looks like a loving, revolutionary, creative phase. 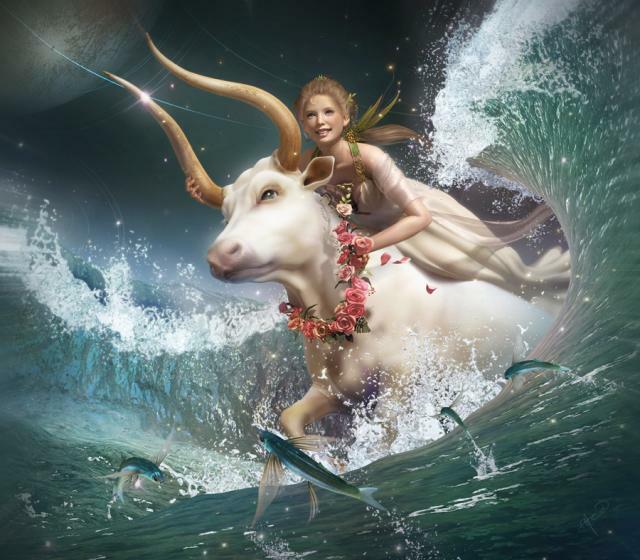 Venus in Aries turns retrograde on Saturday. 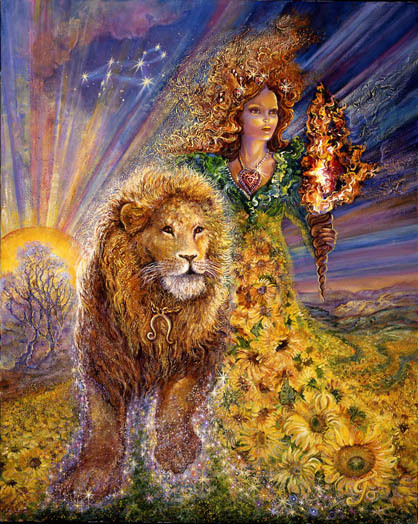 An impassioned, impatient, angry warrior goddess is fiercely determined to manifest what is in her best interest. In retrograde motion Venus retreats to the depths of your being to activate the courage required to initiate a bold new beginning. She breaks through resistance and fear while refusing to subsist any longer on lifeless relationships or consistently disappointing outcomes. 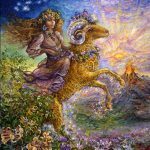 Venus in Aries knows it’s time to take back her leadership role. She wants her life back and knows how to accomplish that. 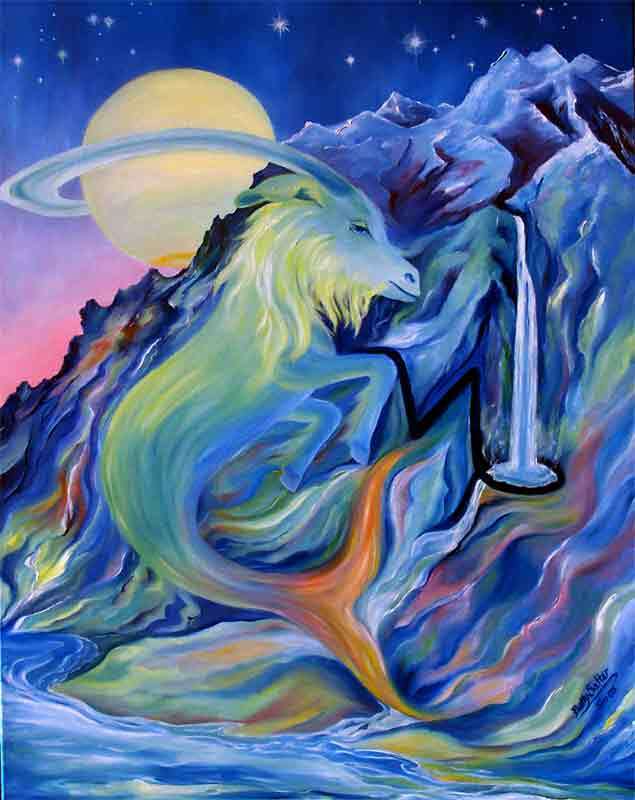 Aries is the spark of life reigniting a smoldering fire within. She’s weaving her way toward a courageous decision that may come as early as April 15th. This week Uranus and Jupiter exactly oppose one another. This alignment influences a range of possibilities. At its core is a tug of war between bold action and sudden breaks with the past… and a more thoughtful reconsideration that finesses its way into some kind of peaceful dissolution. 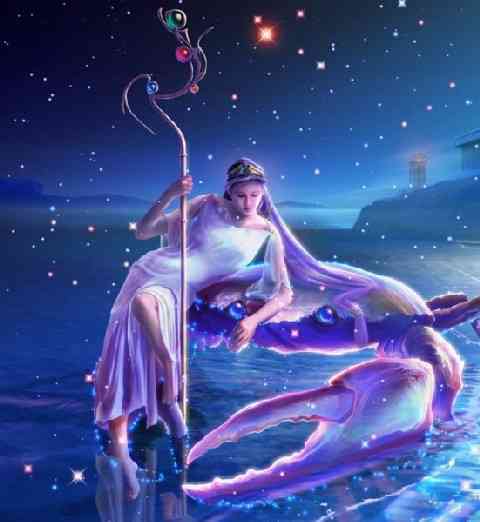 Mars in the fiery sign of Aries is directly influenced by unpredictable Uranus and the darkly powerful energy of Eris. But by weeks end he will be on the cusp of a focus change – probably in the direction of stabilizing and securing finances – dealing with money, ensuring himself a dominant financial position. He’ll become less prone to impatience and impulsive action and more stubborn and adamant. A steady patience may be his ammunition. Maybe he can now afford to out-wait another. Maybe his tranquil demeanor infuriates his opponent enough to gain an advantage. Maybe the enemy is forced into a miscalculation. Maybe he underestimates your ability to endure the long game. Maybe the tables are turned. Mars uses the weapons he has to gain the advantage. He wants to win. He’s a bad loser. 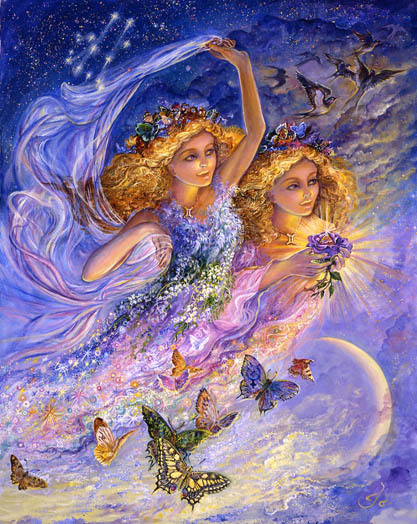 Ceres in Taurus trines (harmonizes with) Juno in Capricorn. A commitment to nurturing benefits you. The details of that will depend on the house placements determined by your sign. I’ll try to personalize it all. 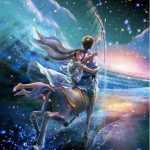 What to do with the emerging truths regarding the extent of your ability to be victimized, paralyzed, powerless, guilt-ridden, punishing, jealous, undermining, and sick? That is the question this week. The good news it that you’ve been through a purging phase that has cleared the gunk from the deepest recesses of your mind. But now it’s on you doorstep. The mess once exposed has essentially has lost its power over you. It’s time now to figure out how you can channel all that once hidden pain into something useful. A suggestion would be to dispense the knowledge that undermining ourselves is not a conscious decision. And alienating and punishing those who appear to be victims is a reflection of our inability to acknowledge and deal with how powerless we actually feel. The dynamics are complicated. 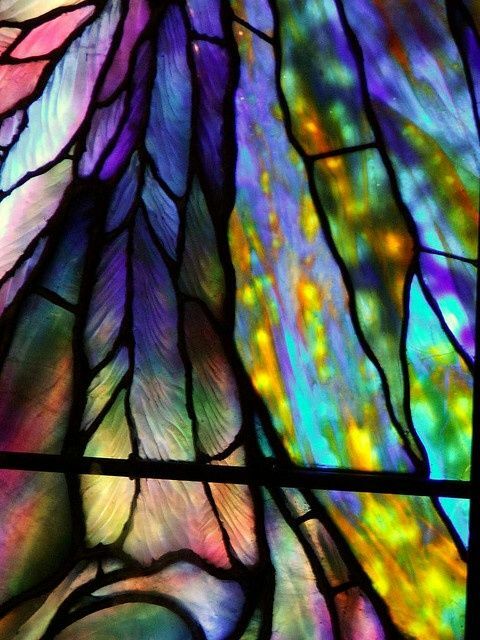 It takes a skilled healer to release us from limitations that arise from an unconscious place. You may understand that first-hand. Now you’re freer. You have the power to enlighten the rest of us. A commitment to your future may be fueling your need to nurture your relationship with yourself. Self-care may be an issue that’s been elevated on your life’s list of priorities. No longer content to limit the parameters of your future, a new willingness to do something risky, adventurous, and challenging may already be opening doors. Practicalities, what’s fair, and old beliefs about the nature of responsibility may be under review. 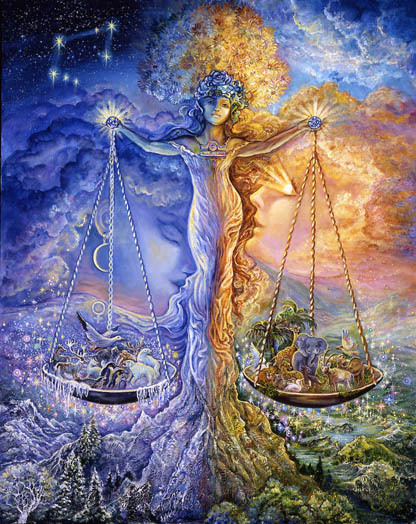 Also an emerging issue is Venus moving into retrograde motion in your 12th house of spiritual connection. This is a rare occurrence. 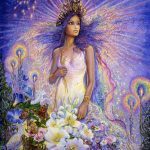 Venus takes you deeper to connect with the essential nature of your soul which is courageous, assertive, combative, and warrior-like. If that feels wrong talk to me in a couple weeks. You are formidable though you may keep that side of yourself hidden. You have everything you need to free yourself and your future. Whatever held you back professionally or in the world of public interactions is dissolving. A breakthrough or release of some kind is likely. You are ripe for being considered the best new thing to come onto the scene in quite awhile. It seems the public may be craving the best of what you have to offer. What might take years for most to establish themselves and their reputation may come rather quickly for you. It’s all a matter of timing,practical planning, life experience, and the willingness to take some risk. A review of your beliefs about what exactly is your happiest place may be underway. 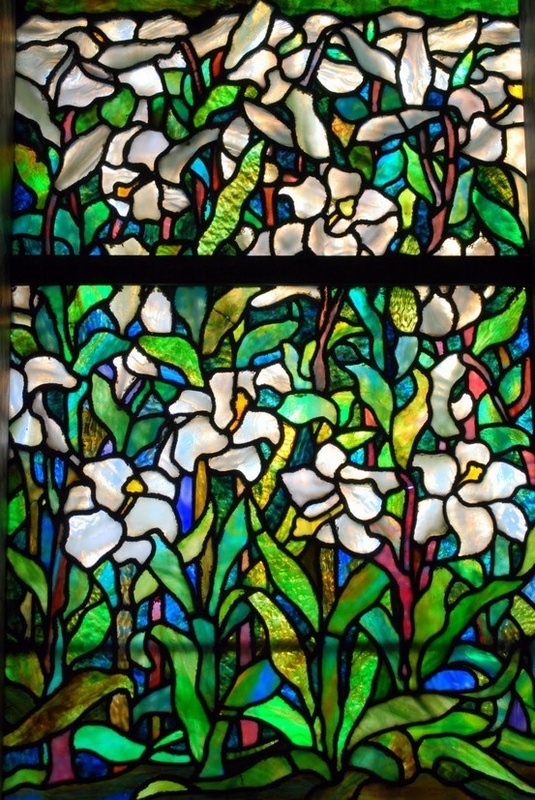 Courageous and unusual friends, groups, life-long urges, and a reminder of forgotten dreams, may clarify the kind of life and the kind of creative expression that brings you the most joy. You may now be in a position to build your life and career around joy and it will be obvious. Your fans will be delighted. 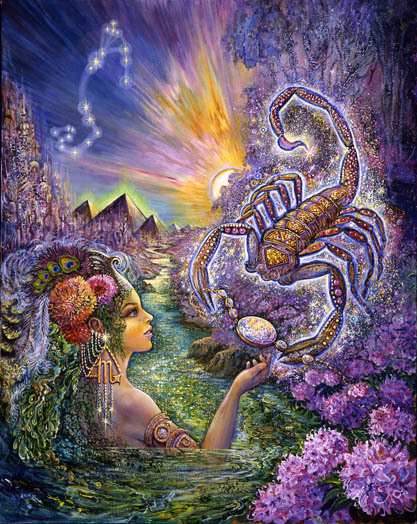 Cancer may be facing opportunities and experiences they once assumed were out of the realm of possibility for them. It may feel exhilarating and somewhat unnerving. You’ve broken through some self-imposed limits that were essentially put in place when you felt you deserved less or believed those who expected too little of you. The past may appear small and confining compared to what’s opening up in front of you. Be mindful – especially in situations where you assume everyone is more comfortable, self-assured, and competent than yourself – that you don’t revert back to that small, cramped place that was never right for you. Almost no one is competent, self-assured, and comfortable in new situations. Use your highly developed sensitivity and intuition to know when to move forward and when to exit gracefully. What may be most exciting and unexpected is the nature of the people you’re attracting into your life. They are a reflection of your own qualities and abilities. 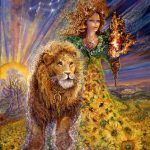 Leos natural preference may be for a life that’s bigger, better, busier, and more blessed with an abundance of everything. The more the merrier. 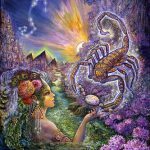 But since Saturn made his entrance into your 5th house of creative power and self-expression in December of 2014, the need to narrow your focus has been a the challenge. Saturn likes a clearly defined goal and a minimum of distraction to interfere with the achievement of that goal. 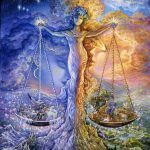 As Jupiter moves retrograde in your 3rd house of busyness and a continual bombardment of informational input, it’s time to review your beliefs about the circumstances under which you can be most effective. It seems a willingness to eliminate some of the many directions you’re being pulled into may be wise. 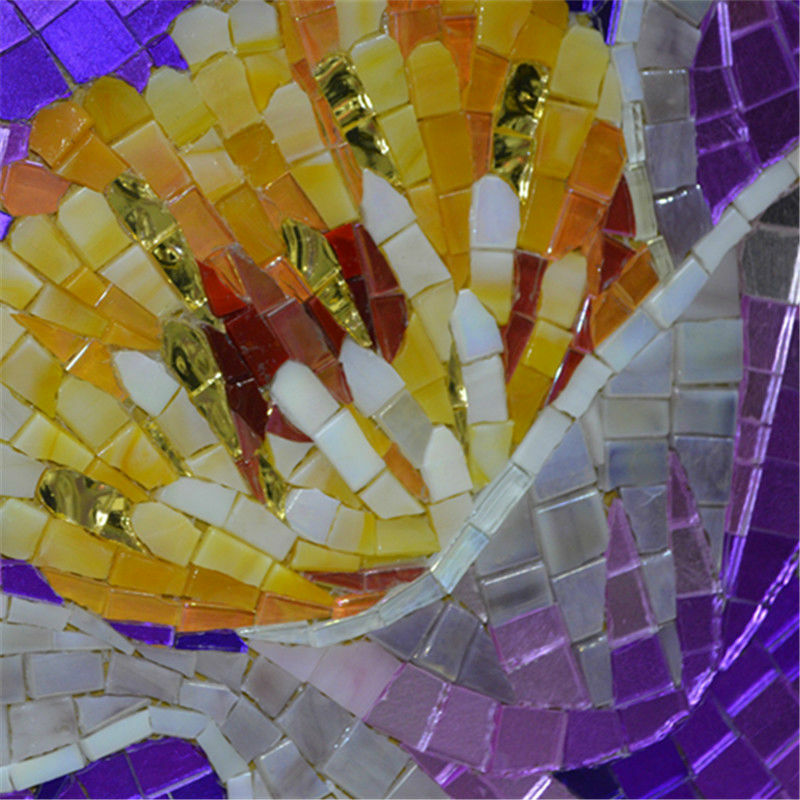 Leos need time to fully immerse themselves in the creative process. Think back to a time you were free to do that…when you spent hours creating something you were proud of. Chances are you’ll remember the satisfaction you felt then and how enduring that feeling still is. Phollus, the asteroid that symbolizes the lid being blown off a situation through a seemingly small, innocent act hovers on the cusp of your 5th house of love affairs, your first child, and uninhibited self expression. Rationally it would be wise to proceed with caution in anything having to do with this realm of life experience. Risky actions could have a far wider reach than anticipated. Chaos could ensue. The myth of Phollus is that a large, organized gathering turned into a chaotic mess after one bottle of wine was uncorked. Obviously that lead to another and another. Your natural tendency would be caution. But pressures have been building and a desire to break with old conditioning that keeps you confined could be intense. If a romantic, hidden love affair is what your looking for waiting until the second week in May would be better timing. 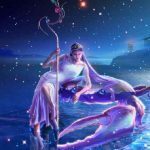 Venus retrogrades this week in your 7th house of relationships. This is a rare occurrence. 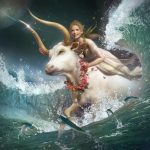 As I stated in the intro to this week’s horoscopes, Venus in retrograde motion retreats to the depths of your being to activate the courage required to initiate bold new beginnings. She breaks through resistance and fear while refusing to subsist on lifeless relationships or consistently disappointing outcomes. Venus in Aries knows it’s time to take back her leadership role. She wants her life back and may be confident enough to take some first steps. Strength may come from the wisdom of using disappointments to identify what we can move away from. 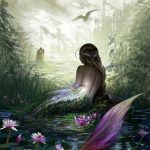 The recent Solar eclipse in Pisces may have opened the door to new opportunities to put disappointment and regret to more efficient use. Self-discipline is required to prevent what has been disheartening from fueling something equally as ineffective and depleting. This week it seems you might want to relax into something enjoyable – an escape from pressure and full immersion into something you love. That might represent a return to balance. Simmering anger, hard work, unpredictability, and fear may surround your work environment and the nature of the responsibilities you take on. Recognition for your competent performance may be in short supply. You could sink your teeth deeper into that frustration or you could opt out. For the sake of your health and a more joy-filled life I would suggest time with friends, lovers, and time to enjoy your children free of the normal anxieties, heavy responsibilities, and restraints. To the extent you can arrange this, it seems in your best interest to do so. Your beliefs about much needed escapes and a reconnection with your more soulful self are under review. As Venus backtracks in your 6th house of responsibility maybe it’s time to consider that making your life more enjoyable is one of your most important responsibilities. Something about your home, family, the past, or the supportive nature of what’s most familiar to you is dissolving. One door is closing, but another is opening. Most likely you’re in the process of reviewing your beliefs about friendship, love, group consensus, resistance, and confining your own self-expression for the sake of peace. A clean break may be contemplated as you reconsider and feel more strongly the importance of creative freedom. Anger may be the byproduct of feeling held back. A partner may seem to be the culprit, but essentially your own lack of confidence or faith in yourself may be standing in your way. This week what brings you the most joy and what keeps you from fully embracing it may be clarified. It may be easier and the perfect time for you to consider the possibility of taking a leap of faith and to actually back that up with some concrete, courageous action. 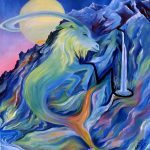 Capricorn may feel that their communication is ineffective, that they’re not delivering the impact they aspire to, that solid support seems to dissolve, and the ability to gain traction is elusive. Facts don’t seem to matter. Feeling overpowered or out-maneuvered is depleting. But there is some method to the cosmic madness. Being confused can work in your favor. When all your usual tricks don’t work you have no choice but to be open to something new. Saturn’s been encouraging a reconnection with intuitive insight, intuitive knowing, and the ability to feel your way toward solutions. Everything you know about being successful is being enhanced not undermined. Saturn is getting your attention by insisting that you develop what you’ve dismissed in the past as too impractical or unrealistic. He’s giving you little reason for hope instead making you dig deep for it. He’s encouraging a compassionate approach when you’re frustrated enough to want to inflict pain. He’s a tough taskmaster. You need that as you develop higher levels of competence. Trust him. 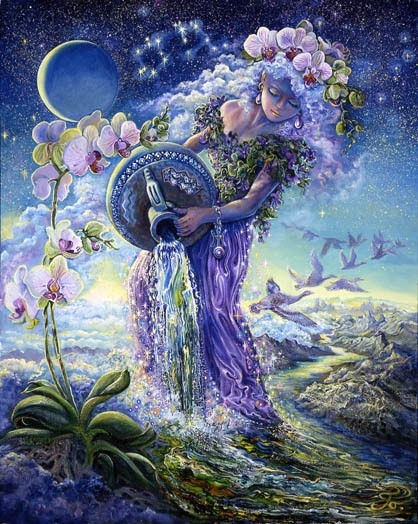 Aquarius may be focused on becoming more comfortable with the unusual and undefineable ways they solidify and stabilize new beginnings. For you it’s largely an unconscious process. You may feel that something you want to materialize is actually being undermined, losing steam, or dissolving into nothingness, when actually the opposite is occuring. For you solidification may actually feel like dissolution. Or it may like succumbing to a flow that’s too easy to be anything worthwhile. Giving up paradoxically moves you closer to your dreams. It’s likely you’re being highly efficient when you coast, when you do what you feel like doing, when you’re immersed in the creative process, seeing life through a filmy, artistic lens, and following your intuitive leanings when others perceive you’re being wildly thrown off track. It can be very confusing. It’s hard to see what’s coalescing but you seem, unknowingly probably, to be making significant progress. Evidence that what I’m saying is true begins to surface soon. 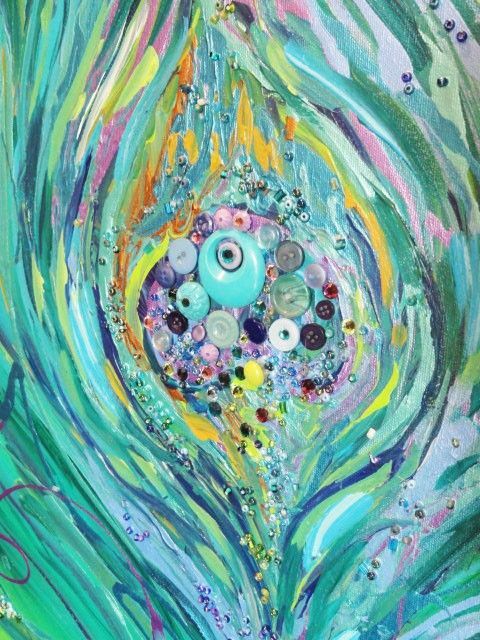 Pisces is in the process of allowing an old, outworn, confused, relationship with their physical body to dissolve. Something has been clarified that moves you into a space where a more confident, courageous, initiating approach to life is possible. Old psychological conditioning is being unraveled. In hindsight you may be able to see how hobbled you were by your relationship with yourself and your appearance. Past betrayals in the form of sudden illness, failing to measure up in the athletic world, loosing strength at critical junctures, letting the team down, misinterpreting physical signals, or being unable to respond to those efficiently, as well as sexual confidence and identity issues may be in the process of resolving. This is a big deal because it impacts all of your relationships. Those used to your passive, shape-shifting, tentative approach may be in for a surprise. Flex your muscles as you feel your full capacity and confidence emerge. A breakthrough has occurred. Your readings are so complete in all areas. Deeply grateful to have been introduced to your clear transcribing. Trish…Thank you so much for your comments and for reading what I write. I think you’ve been on board for awhile.